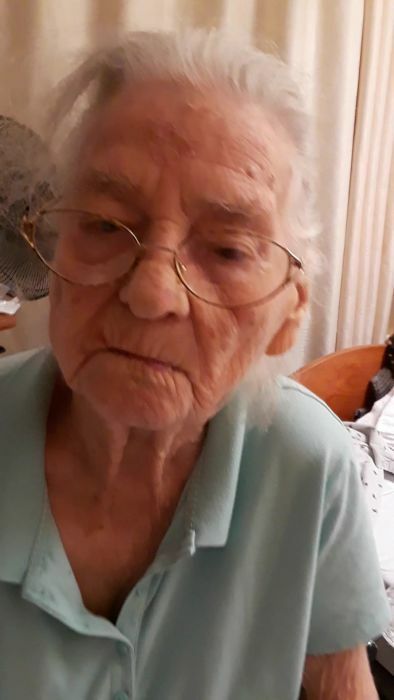 Lucy E. Meadows age 91, of Canton passed away January 14, 2019 at the Laurels of Canton. She was born on October 13, 1927 in West Virginia the daughter of the late George and Cynthia Foster. Lucy retired from Country Lawn Nursing Home where she was a nurse’s aide for 23 years. She enjoyed spending time with her grandchildren and loved drinking coffee. Lucy is survived by her son and daughter-in-law, Edward and Brenda Meadows; daughter and son-in-law, Jeri and John Reese; seven grandchildren; five great-grandchildren. In addition to her parents, she was preceded in death by her husband, John Meadows; son, Douglas Meadows. Visitation will be held on Saturday, January 19, 2019 at Heitger Funeral Home - Massillon Chapel, 639 1st St NE from 10am to 11am. Funeral services will follow the visitation starting at 11am with Rev. Dale Smith. Her final resting place will be at Oakwood Cemetery in Massillon.